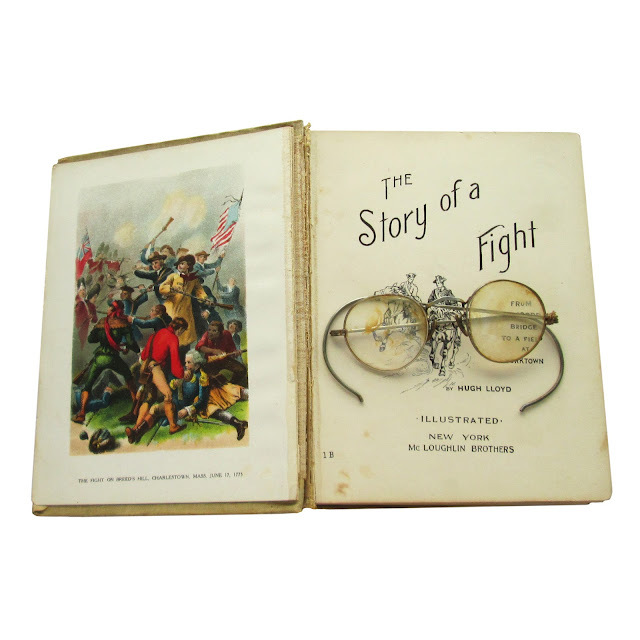 Somewhere back in time, the former owner of these glasses is still looking for them. It looks like they have been in there so long, they have cracked the binding. Found in "The Story of a Fight" by Hugh Lloyd. Published by McLoughlin Brothers, 1907.